Carrier offers a number of ways to help you save money on your new heating and air conditioning system, including Cool Cash Rebates on qualifying heating and cooling products. 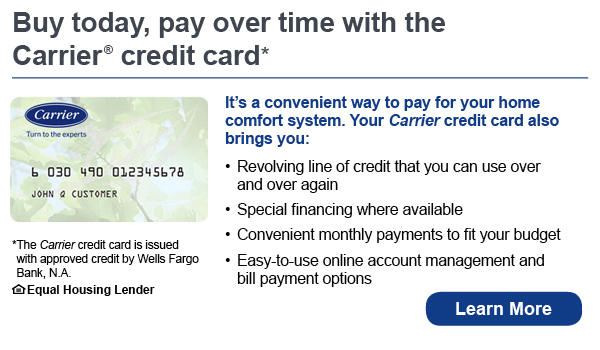 To explore all of Carrier's available rebates, click here. Additionally, Southern California Edison and Southern California Gas Company frequently offer rebates for energy-saving heating and cooling upgrades, such as smart thermostats and ENERGY STAR qualified air conditioners. Energy Upgrade California is a statewide program that offers incentives to improve the overall energy efficiency of your home. Such improvements could include replacing your furnace and air conditioner, sealing ducts, and adding insulation in your walls, floors, and attic. You'll not only save money on the initial upgrades, but also the long-term cost savings from reducing your overall energy use. 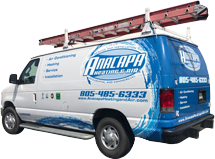 Give Anacapa Heating & Air a call today to learn more. The job was completed in the stated time. The workers were very approachable. The small problem that arose was quickly righted. The manager stopped in to . . .